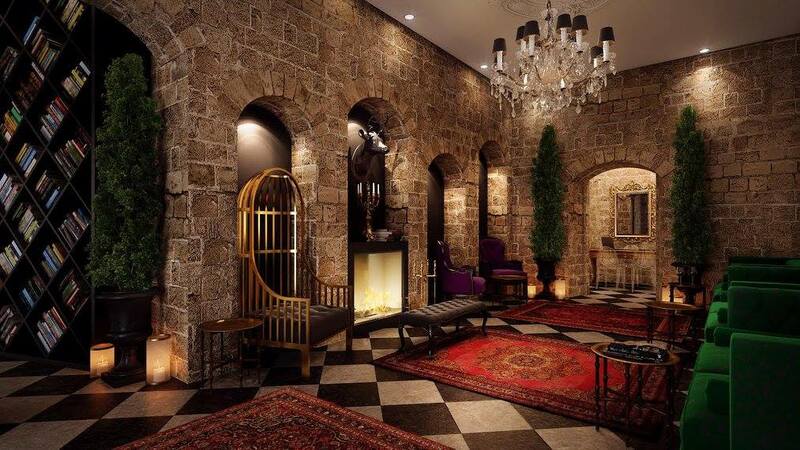 The new Villa Brown Jerusalem introduces contemporary boutique hospitality to the ancient city of Jerusalem, Israel. 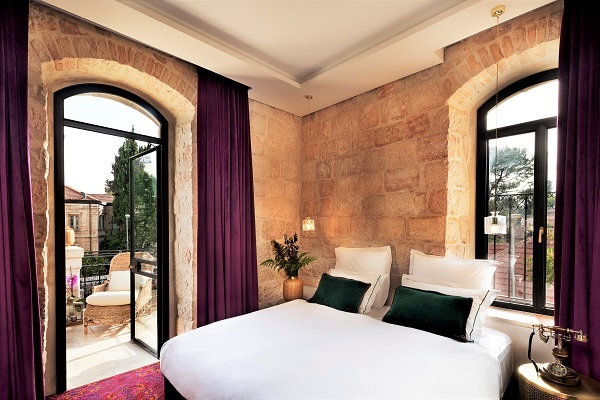 It resides in a renovated picturesque 19th century villa in the heart of Jerusalem, next to the Russian compound and overlooking the Ethiopian church. It is merely a 5 minutes’ walk to the old city walls and right by the city center, on 54 Ha'Neviim Street. The villa was originally built as the family home of a wealthy Jewish doctor who served as the general manager of the Rothschild hospital in Jerusalem. Considered one of the most impressive in the area, the villa housed receptions and balls, and served as a meeting point for the local elite. It has now been fully renovated and two extra floors were added with services and facilities required to meet the needs of the savvy modern traveler. 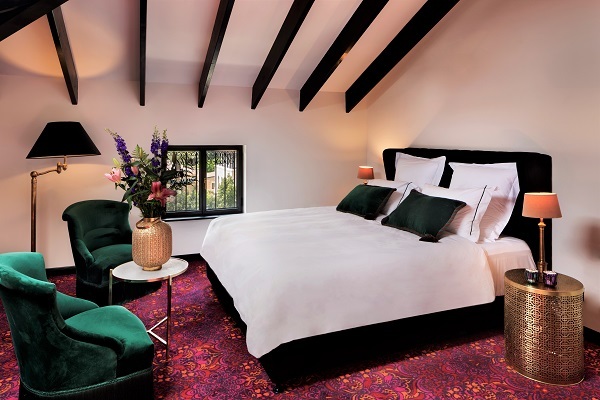 The hotel features 24 plush rooms and suites, a garden bistro-café, rooftop spa and terrace, meeting room, library and a unique underground "Cave Bar" located at the old water well underneath the house. DURING THE OPENING PHASE, SOME OF THE HOTEL’S AMENITIES MAY NOT FULLY OPERATE. 1.1. Unless otherwise is stated on the reservation, cancellation notice must be received up to two days prior to arrival date by 12:00 PM. Otherwise a charge of first night stay will apply. In case of a Non-show, a charge of the first two nights stay will apply. 1.3. Long stay & group reservations will be charged a deposit as per special terms & conditions. Cancellation Policy – reservation for 10 nights or more: Cancellation notice must be received up to 10 days prior to arrival date by 12:00 PM. Otherwise a charge of first night stay will apply. In case of a Non-show, a charge of first two nights stay will apply. Deluxe Terrace RoomEnjoy an unforgeable Jerusalem feel at your private terrace overlooking the Villa's picturesque veranda. 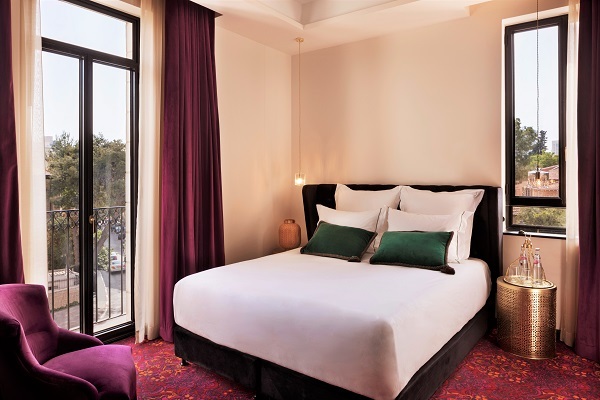 Our 24 SQM Deluxe Terrace Rooms can accommodate up to 2 guests in comfortable style. Grand Attic RoomOur plush 32 SQM Grand Attic rooms are perfect for romantic couples looking for a pampering private getaway. Located on the villa’s top floor, the rooms offer beautiful sloped ceilings, a generous bathroom with both free standing bathtub and a walk in shower, as well as direct access to the hotel’s rooftop terrace and spa. Deluxe RoomOur spacious 20 SQM Deluxe rooms are designed for 1 or 2 guests who would enjoy the extra space, offering a king size bed and stylish eclectic design.